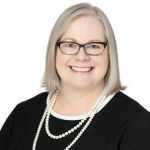 NASHVILLE, Tenn.--(BUSINESS WIRE)--HCA Healthcare (NYSE:HCA) today announced the appointments of Kathi Whalen and Phil Billington as senior officers, replacing two HCA Healthcare veterans, who are retiring. Effective January 1, 2019, Whalen will become senior vice president and chief ethics and compliance officer, and Phil Billington will become senior vice president of internal audit services. 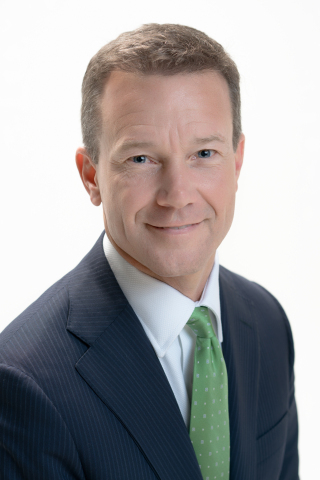 A longtime leader in HCA Healthcare’s ethics and compliance department, Whalen, who currently serves as vice president, ethics and compliance, will fill the role currently held by Alan Yuspeh, who is retiring after 21 years with HCA Healthcare. Whalen, who has been with HCA Healthcare since 1998, helped develop the company’s code of conduct, policies and procedures, annual training and education. As senior vice president and chief ethics and compliance officer, Whalen will be responsible for ethics and compliance, regulatory compliance, reimbursement and information protection. Billington, who currently serves as vice president, internal audit, has been a key leader in HCA Healthcare’s internal audit department since joining the company in 2005 and will fill the position currently held by Joe Steakley, who is retiring after 21 years with HCA Healthcare. In his new role, Billington will be responsible for auditing financial controls, information system controls and compliance with regulatory policies as well as enterprise risk management and business continuity. Nashville-based HCA Healthcare is one of the nation's leading providers of healthcare services, comprising 179 hospitals and approximately 2,000 sites of care, including surgery centers, freestanding ERs, urgent care centers and physician clinics, in 20 states and the United Kingdom. With its founding in 1968, HCA Healthcare created a new model for hospital care in the United States, using combined resources to strengthen hospitals, deliver patient-focused care and improve the practice of medicine. HCA Healthcare has conducted a number of clinical studies, including one that demonstrated that full-term delivery is healthier than early elective delivery of babies and another that identified a clinical protocol that can reduce bloodstream infections in ICU patients by 44 percent. HCA Healthcare is a learning healthcare system that uses its more than 32 million annual patient encounters to advance science, improve patient care and save lives. Please click here to connect with HCA Healthcare on social media. 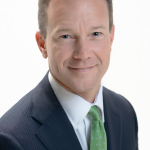 "In his 13 years with HCA Healthcare, Phil has proven to be an effective and well respected leader"